・「衣食足りて礼節を知る」= Well fed, well bred. ・「（彼は）浮足立っている」= He’s ready to run away. ・「考えただけでよだれが出る」= It makes my mouth water just thinking about it. ・「最優先事項」= overriding concern < Protection remains our overriding concern. ・「三度目の正直」= The third time pays for all. ・「自業自得」= Serve you [him] right! ・「（船が）浸水して沈む」= founder = sink < It foundered at Golar Para Char. ・「私は性善説です」= I am of the view that humans are inherently good. ・「損して得取る」= You must lose a fly to catch a trout. ・「塵も積もれば山となる」= Many a little makes a mickle. < My junior staff didn't follow through on her job. ・「（船が）転覆する」= capsize < A fishing boat carrying refugees capsized near the same area. 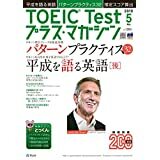 ・「熱中症」= heatstroke｜※「熱中症になった」= I got heatstroke. ※「彼は反射神経がいい」= He has great reflexes. ・「踏んだり蹴ったり」= This is very much like adding insult to injury. ・「仏作って魂入れず」= Dot the i’s and cross the t’s. ・「ユーストレス」= eustress; a healthful, stimulating kind and level of stress. ・「寄らば大樹の陰」= When you take shelter, make sure go under a big tree.